Colleen Ann Cunningham, of Shreveport, LA. 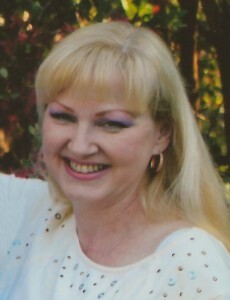 died Friday, January 27, 2012 at her home after a brief illness. She was a native of Corning, N.Y. and resided the past 32 years in Shreveport, LA. She is survived by her mother, Jacquelyn “Jackie” Smith Cunningham of Warren, PA., 2 Brothers – Brian Cunningham and wife, Joyce of Horseheads, N.Y., Dennis Cunningham and wife, Gloria of Thomaston, Maine, several aunts, uncles, cousins, nieces and nephews. On Monday, January 30, 2012 she was preceded in death by her father, Robert E. Cunningham, 1 Brother – Robert Michael Cunningham, 2 Nephews – Brandon and Sean Cunningham, and special friend, Jerry. Friends are invited to attend a joint memorial service for Colleen and her father, Robert on Sunday, February 5, 2012 at 2:00 P.M. at the Donald E. Lewis Funeral Home, Inc., 304 East Street, Warren, PA with Fr. Michael Polinek, Parochial Vicar of St. Joseph R.C. Church, officiating. Interment will be in St. Joseph R.C. Cemetery. In lieu of flowers donations may be made to the Humane Society of Northwest Louisiana, 512 W 67th St., Shreveport, LA. 71106.